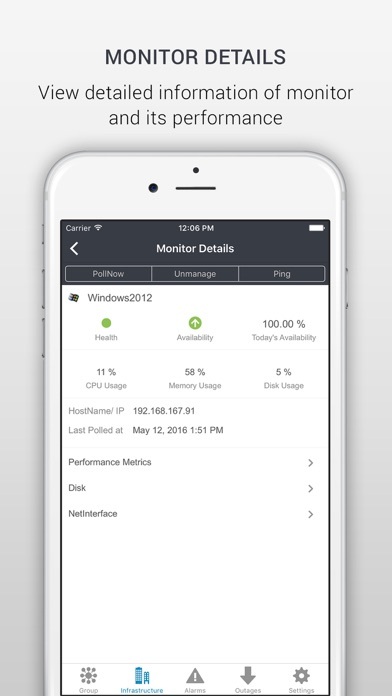 ManageEngine Applications Manager iOS app lets your technicians access and manage monitors from any location. 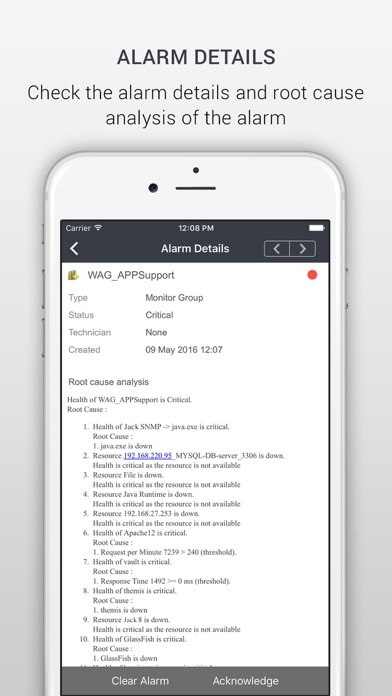 This app reduces the response and resolution time of a fault occurred in your system, thereby increasing the overall availability of your business services. The app, designed particularly for iPhone, gives you better user experience. Trusted by over 5000 enterprises worldwide, ManageEngine Applications Manager helps you monitor your IT effectively by ensuring high availability and performance of your business applications. 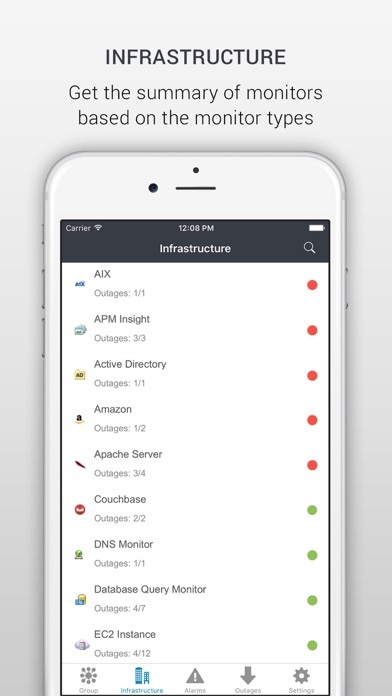 If you are running Application Manager server you can use this app to access it from your iPhone. 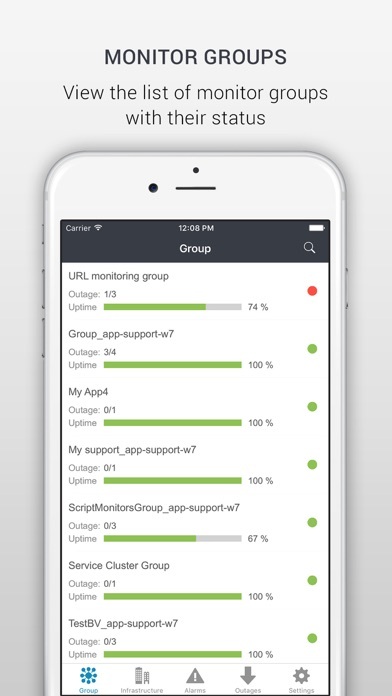 App features: Lists all added Monitor Groups and Monitor Types based on the health severity. 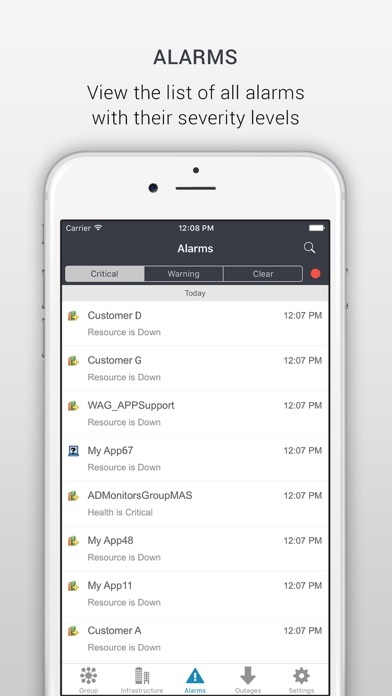 Lists Alarms (Critical, Warning and Clear) based on the time it has been generated. Perform actions (Clear and Acknowledge) on alarms. Send notifications from Applications Manager (for monitors that are associated to logged-in user). This is scam, the program does not work without registration?? Unable to use the first thing it ask u is for your server?? ?